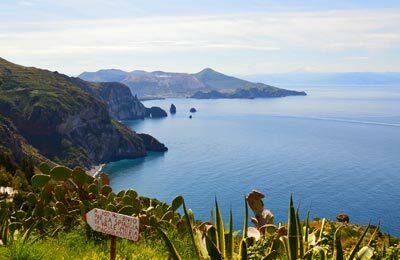 Just off the north coast of Sicily, Salina is composed of six inactive volcanoes, the two youngest and tallest of which are named Fossa delle Felci and Fosse dei Pom. Salina was named "Didyme" by the ancient Greeks, a name which was derived from its two extinct volcanic peaks. The modern name of the island comes from the procuction of sea salt which was perfomed until recently on the island. Ferries from Salina sail to Naples, in the South-West of Italy. The route is operated by SNAV, and you can book their ferries using the simple booking form from AFerry. Below, you can find Salina ferry times, as well as our best deals. Salina was named "Didyme" by the ancient Greeks, a name which was derived from its two extinct volcanic peaks. The modern name of the island comes from the procuction of sea salt which was perfomed until recently on the island. Salina Ferry Port is situated on the beautiful island of Salina. 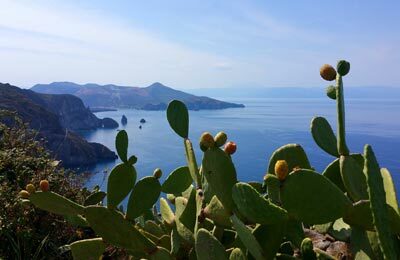 Salina is the second largest island of the seven Aeolian Islands located off the north-eastern coast of Sicily, Italy. It is composed of six inactive volcanoes, the two youngest and tallest of which are named Fossa delle Felci and Fosse dei Pom. You can catch a ferry from Salina Ferry Port to Naples, mainland Italy. All ferries can be booked easily online with AFerry. Salina Ferry Port offers a full range of services and facilities for passengers and for freight transportation. The island is small and Salina Ferry Port in Santa Maria Salina is well signposted.